Rigid and Retractable Pendants are manufactured under BS EN 13485 Medical Devices: Quality Management Systems. They are intended to distribute medical gases, AGSS and electrical services to the operating table/anaesthetic machine, whilst leaving the surrounding area free from trailing hoses and cables. Rigid Pendants are ceiling mounted fixed columns complete with first fix plate and ceiling shroud, with an epoxy powder coated finish. Retractable Pendants are ceiling mounted, height adjustable columns complete with first fix plate and ceiling shroud, with an epoxy powder coated finish. The height to the underside of the pendant can be adjusted throughout a 300mm pre-determined range. 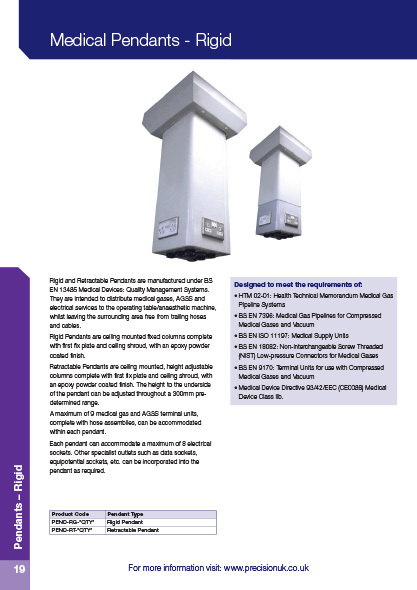 A maximum of 9 medical gas and AGSS terminal units, complete with hose assemblies, can be accommodated within each pendant. 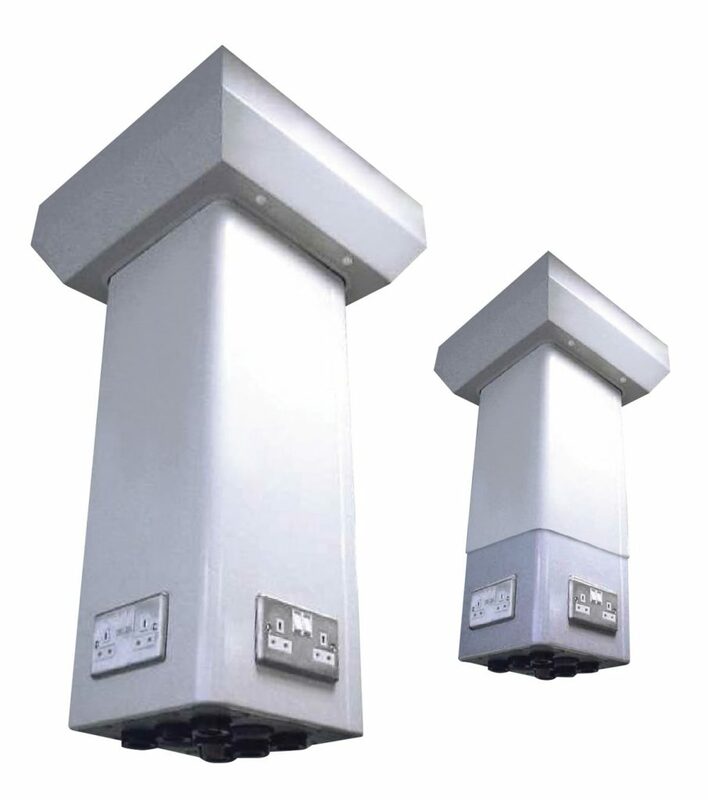 Each pendant can accommodate a maximum of 8 electrical sockets. Other specialist outlets such as data sockets, equipotential sockets, etc. can be incorporated into the pendant as required. Medical Device Directive 93/42/EEC (CE0086) Medical Device Class IIb.